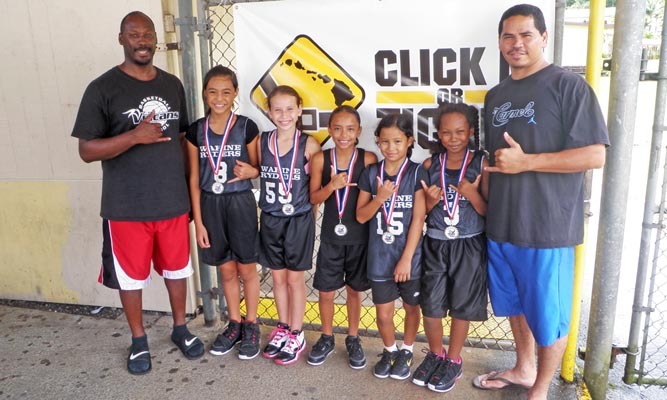 The Hawaiʻi Police Department’s traffic Services Section and the Hawaiʻi Police Activities League (HI-PAL) held two “Click It or Ticket” 3-on-3 basketball tournaments in July. 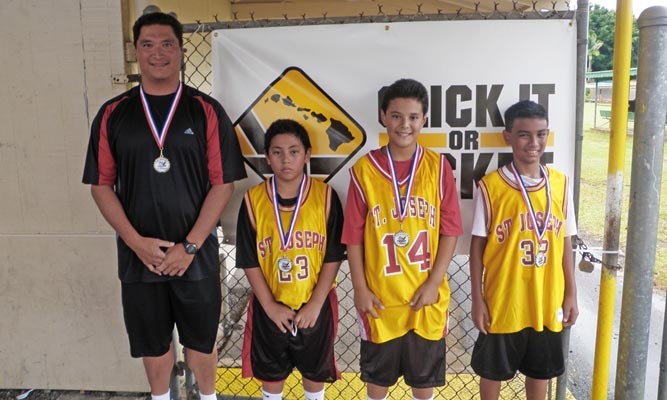 The first was held on July 16 at the Honokaʻa sports complex gymnasium and the second was held July 23 at the Parks & Recreation facility on the Pāhoa School grounds. 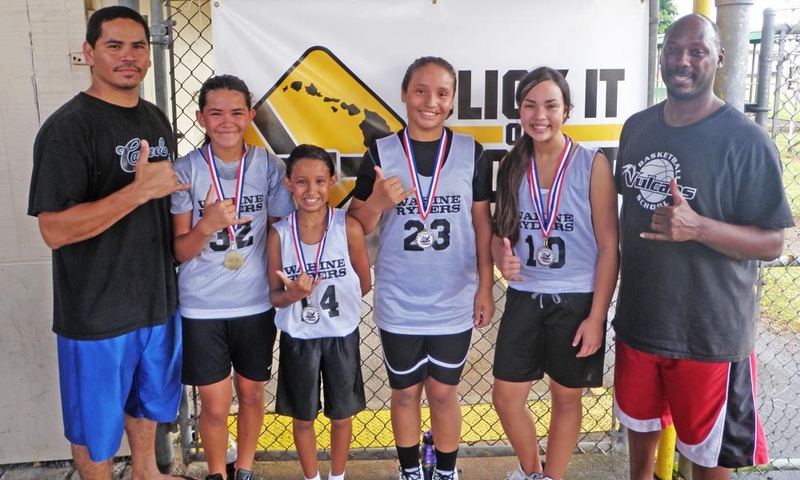 Thirty teams and approximately 130 players participated in 59 games in Honokaʻa in the following age groups: 5-6-7-8, 9-12, 13-14, girls 10 and under, girls 12 and under and girls 14 and under. 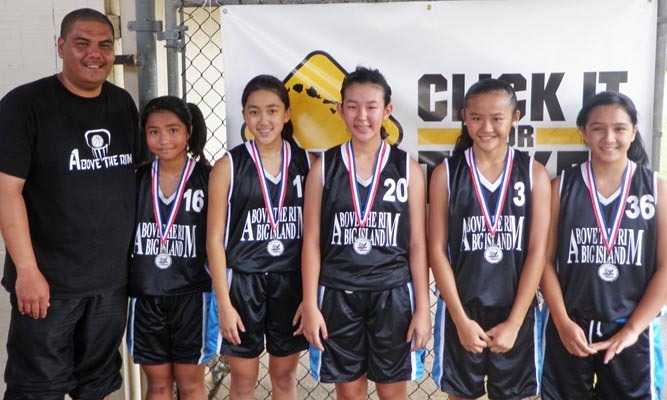 Eighteen teams and approximately 75 players participated in 28 games in Pāhoa in the following age groups: 5-6, 6-8, 9-12, girls 10 and under and girls 12 and under. 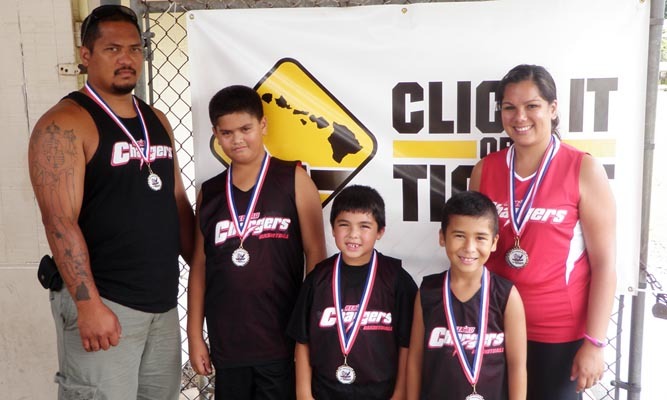 Photographs of the winners are shown below. 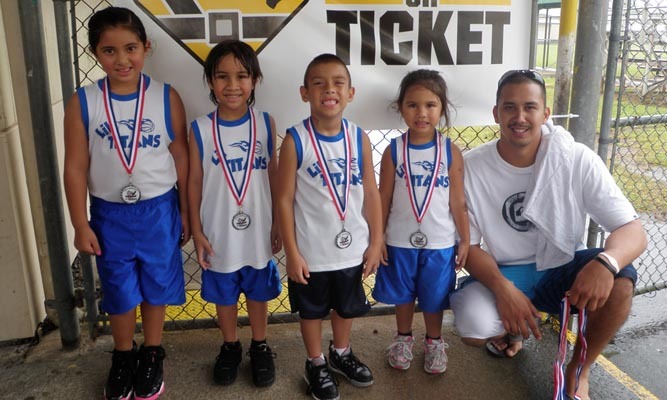 For information on upcoming HI-PAL activities, please call the HI-PAL office in Hilo at 961-2220. 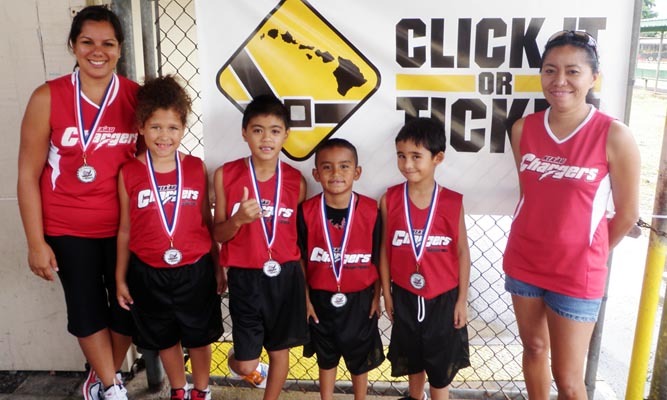 The next “Click It or Ticket” 3-on-3 basketball tournament is September 10-11 at Laupāhōehōe High School. 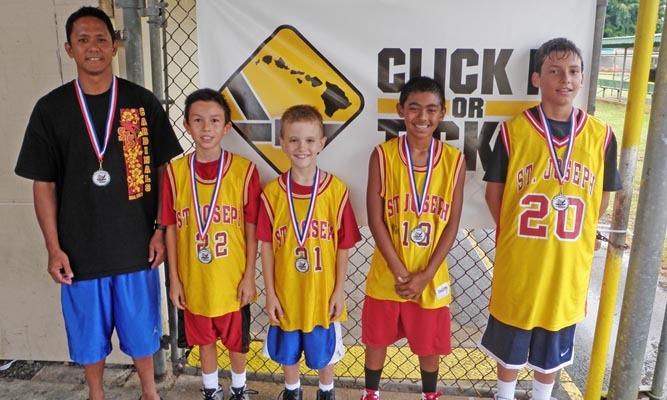 Additionally, a high school “Click It or Ticket” 5-on-5 basketball tournament is scheduled for 9:30 a.m. to 3:30 p.m. on August 20-21 at the Hilo Armory. 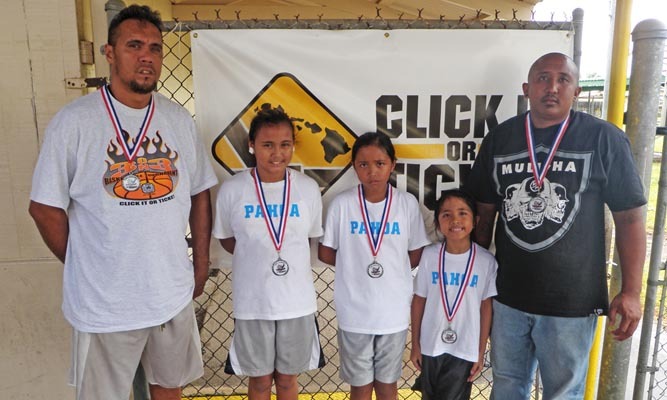 HI-PAL would like to thank Kevin Yamasaki, Jayme Carvalho and the Parks & Recreation Department for their continued generosity in allowing for the use of the Honokaʻa sports complex gymnasium. 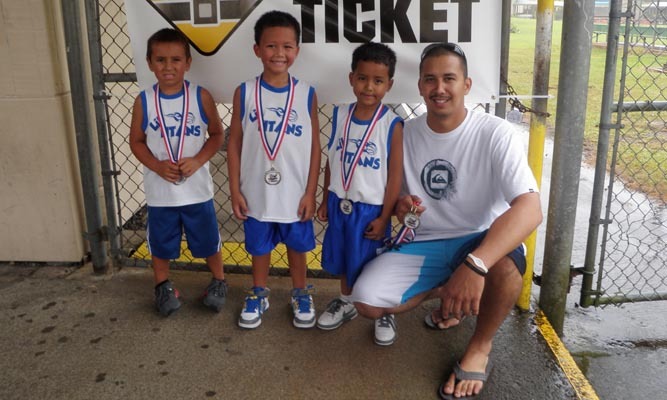 HI-PAl also would like to thank Athletic Director Ron Tomosada and Boys Basketball Head Coach Marc Saito at Pāhoa High School for their continued generosity in allowing for the use of the school’s gymnasium. 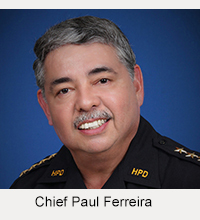 Everyone’s willingness to work hand in hand with the Hawaiʻi Police Department and the HI-PAL Program is well appreciated. 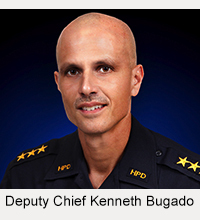 This cooperative gesture emphasizes each person’s community involvement and their continued commitment to our youths and their best interests.